Key members of the hacking collective known as LulzSec were arrested Tuesday morning, a move authorities are calling “devastating to the organization.” According to an exclusive report by Foxnews.com LulzSec’s alleged ringleader, Hector Xavier Monsegur of New York City, helped authorities with the arrest. 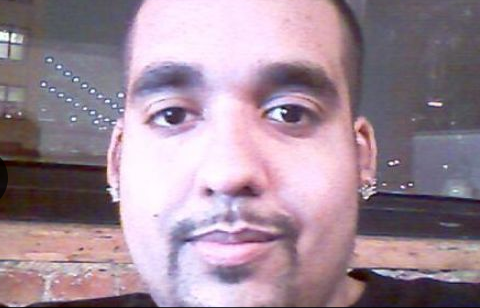 Credit: Foxnews.com's exclusive image of LulzSec's alleged ringleader Hector Xavier Monsegur. Tuesday’s arrests included five LulzSec members: two from London, two from Ireland, and one from Chicago. LulzSec, also known as Lulz Security, is an offshoot of the Anonymous hackers group. Together the two groups have been blamed for hacking into the CIA, FBI, Sony, defense contractors, and the government websites of Great Britain and Mexico. The U.S. Department of Justice has scheduled a press conference later today to release details on the arrest, according to reports. Update: According to court documents obtained by the Associated Press Monsegur is being charged with conspiracy to engage in computer hacking along with a number of other charges. The AP is reporting that Monsegur was an “influential” member of hacking groups Anonymous, Internet Feds and Lulz Security. Court documents alleged Monsegur acted as a “rooter” for these groups working to identify weaknesses in computer systems and identify potential targets for hacking. According to Foxnews.com Monsegur has been cooperating with law enforcement since June 2011 when the FBI allegedly unmasked him. Monsegur’s hacker alias is “Sabu” and he is an unemployed 28-year-old father of two who lives on New York City’s Lower East Side, according to the Foxnews.com report. Foxnews.com reports that in August Monsegur pleaded guilty to multiple counts of hacking. Details of the arrests and information about Monsegur’s cooperation with authorities are expected to be unsealed in New York's Southern District Court. Foxnews.com identified the five LulzSec members arrested as: “Ryan Ackroyd, aka “Kayla” and Jake Davis, aka “Topiary,” both of London; Darren Martyn, aka “pwnsauce” and Donncha O’Cearrbhail, aka “palladium,” both of Ireland; and Jeremy Hammond aka “Anarchaos,” of Chicago. The FBI has not issued an official statement on Tuesday’s arrests. The FBI has made several arrests related to LulzSec in the past. Last September the FBI arrested suspected LulzSec member Cody Kretsinger, 23, of Phoenix, Arizona. He was charged with “with conspiracy and the unauthorized impairment of a protected computer.” The FBI alleged Kretsinger was responsible in part for hacking computers owned by Sony Pictures Entertainment.